As discussed in previous blogs, 3D Issue provides you with two modes to create the publication you have in mind: Magazine Mode and the eBook Reader Mode. In this blog section, we will focus on using 3D Issue to create E-Books that you can distribute for reading on e-reading devices such as the Kindle. 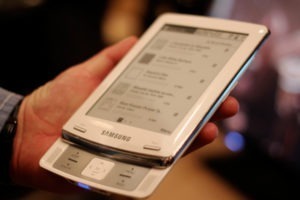 What do you need to create e-Books? 1. First of all you need to save your publication as PDF: At this stage, it is essential to verify that your content has all the ingredients to attract and engage your current and prospective audience. 2. Once you are satisfied with how your publication looks and feels, it is time to import your PDF In the 3D Issue software to start the process of creating your e-Book. Click on Create New Issue to select the PDF or PDFs you want to convert into an e-book, click Open and you can then start working in the software. • In the Content tab: You can select the layout of your original PDF (single –Double-Mixture Pages) that suits you best. You can also add, remove and replace pages id required. • In the Design Section: It is key to make sure you are in the E-Book mode. You can ensure this by selecting from the drop down menu on the right of the interface in the Design tab. In this section, you have some tools which allow you to format your e-book. Thus, you have the following edit tools: Redo Undo, Cut, Copy and Paste. You also have text formatting (Italics, Underline and Bold) change font Size, use bullet points, indent text, add tables, find and replace text, justification-left, centre, right and fully justify. You can even add page breaks. – SNAPSHOT TOOL: You also have a SNAPSHOT TOOL that allows you to take the section of a page of your original document and add it as an image. – Front Cover: In the Design tab, you can also make changes in the front cover. You have the options to have: No Front Cover, Page Image or File. – Table of Contents: In the design section you also have table of contents that allows you readers to have quick links to different pages of the publication. 4. Once you have edited your publication; you are ready to publish you e-book. – Upload your e-book: There are two ways to do this depending on whether you know your website (FTP) details. If you do not know the details simply uncheck the Upload option and click on build to start the uploading the process. – Build: If you know your website (FTP) details you can check the Upload option and then click Build, save changes, name your publication and hit OK. Once the publication has been built, you can open the created folder called e-book which contains two files epub and .mobi. Finally, you can now both upload your e-book to you website and have your readers download it in their e-reader devices or you can submit it to a store for epub or .mobi distribution.